On a bipartisan basis, America’s foreign policy establishment has championed a progressive, Wilsonian internationalist agenda that has served to our great detriment over the last 30 years. 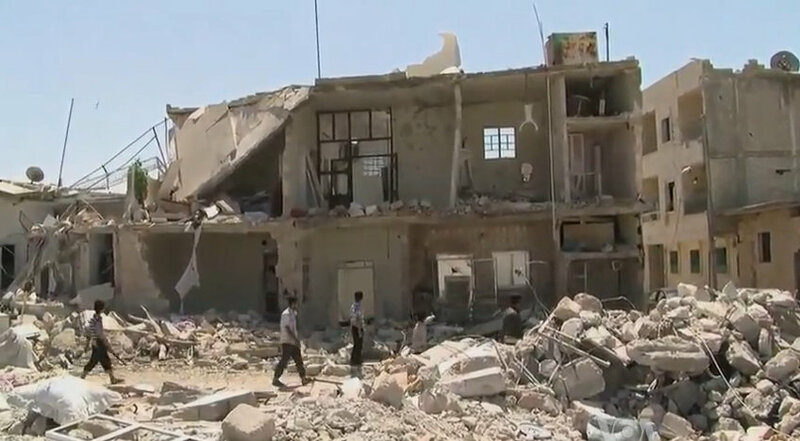 Syria presents an ideal case study illustrating the pitfalls of this stultifying status quo. In a new piece at Conservative Review, I analyze three aspects of that situation worth exploring as we look to build a framework for a new national interest-oriented foreign policy, focusing on the familiar themes of (i) Deposing relatively secular authoritarian dictators, (ii) Arming Islamic “rebels” and (iii) Picking sides in the Sunni-Shia war. …[E]very situation in the Middle East, and indeed the world, must not be viewed parochially. Strategic thinking requires understanding all of the players on the ground both immediately and as proxies for other forces, as well as understanding the different goals, strategies and tactics of each of the players. Often, the U.S. is going to be left with a series of bad options and outcomes, and near-term interests that may conflict with longer-term goals. In the case of ISIS for example, America must defeat them. As with the victory over any enemy however, we must also be looking downfield at who might fill ISIS’ vacuum. For the destruction of ISIS would not only represent the elimination of our jihadist foe, but the elimination of a Sunni competitor to Iran in its quest for hegemony. Such complexity underscores the significance of Sun Tzu’s urging that we know our enemies, but also know ourselves. For decades policymakers have eschewed such analysis. Our leaders have often failed to articulate a basic explanation for why their decisions are in our national interest. They have failed to present a sober cost-benefit analysis for such actions based on a clear understanding of the nature of the enemy. They have failed to think thought through the knock-on effects of such actions on the broader world chessboard. Most pernicious of all, they have allowed politics and political correctness to inform decision-making, rather than forthrightly dealing with the world as it is. The U.S. has the greatest assets in the world. But they have been misused thanks to a lack of knowledge, judgment, and strategic thinking. The Trump administration provides an opportunity to change this dynamic, an opportunity that we must seize. Salon gave me the opportunity to come on as the token conservative panelist in a discussion with host Carrie Sheffield of Bold and longtime national security/foreign affairs correspondent Courtney Kealy. Check out our conversation on Syria, the Sunni-Shia battle for the Middle East and the broader proxy war going on between Russia and the U.S.
Carrie Sheffield sits down with Benjamin Weingarten and Courtn…WATCH LIVE: What is Aleppo? Don’t be like Gary Johnson. Here’s all you need to know about the crisis in Aleppo.